Today the students created beautiful still lifes using oil pastels on black paper. We talked about value-the lightness or darkness in a piece of art. We studied an apple under a lamp and noted where the light was the brightest and where the shadows were the darkest. 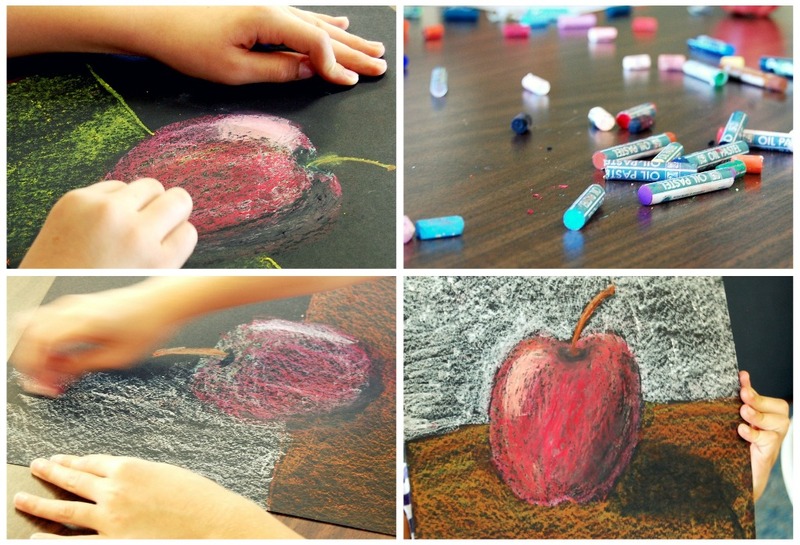 Then we walked through the process of drawing the apple step-by-step.